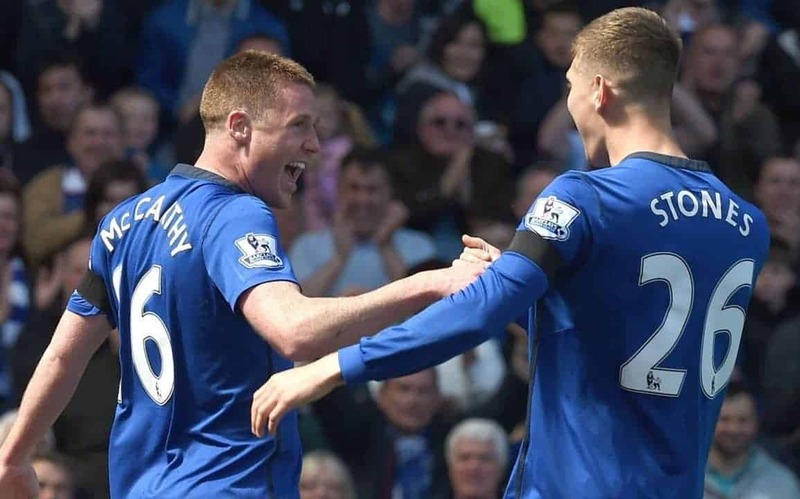 James McCarthy has delighted many Evertonians after insisting that he is going nowhere in the summer. In recent weeks, there has been plenty of rumours about McCarthy’s future with newspapers linking him to Arsenal, Tottenham and Manchester United, but amid talk of a move to a so called “bigger” club, the midfielder says he has not been approached by anyone and dismissed suggestions of disappointment he hasn’t been offered a new contract by the club. After the 3-0 win over United, in which he scored the first goal, he said: “Honest to god, I have not heard anything. “It is news to me if a club is going to come in and buy me in the summer. I have not spoken to anyone, I have not heard anything. “I have got time on my contract here. As it stands, I am tied down just now anyway and I am happy here. He also revealed how he has been let off the leash to transform the end of our near relegation-battle season. The run of five wins in the last six matches has stopped us flirting with the drop zone. McCarthy’s man of the match performance was an inspiration and he revealed that his fine opening goal was a direct result of being given a license to get forward more by Roberto Martinez. “We have been working in training on a different style of play and a few things and obviously the gaffer he is letting me push on – he is letting me off the leash a little maybe!” the Ireland international explained. “Gareth Barry is sitting in there and I have to try to get back and help defensively, but he has just said to me that he wants to try to get more goals in my game.